***This article was originally published on the Ocean News & Technology website on November 13th, 2018. You can view the original HERE. ***This article originally appeared in the October issue of Offshore Magazine. You can read it by clicking through THIS LINK. Almost 90% of everything we buy arrives via seaborne trade, which consists of over 55,000 merchant ships, registered to 150 nations. With statistics like this, it is no wonder that “ship-tracking” and “vessel-tracking” have become far more prevalent in today’s business world. So, what exactly is vessel tracking or a vessel tracking system (VTS)? What is AIS Ship Tracking? Automatic Identification System, otherwise known as AIS, is a ship tracking system used by various maritime stakeholders around the world. It uses a VHF radio transmission to broadcast the ships location to other ships, VTS (Vessel Traffic Service) stations, terrestrial and satellite receivers. All vessels over 300 gross tons, or any passenger ship, is required by the IMO (International Maritime Organization) to have a working AIS unit operating at all times. What was originally meant to help improve safety efforts on the waterway has turned into an incredibly power tool for small and big businesses alike. To learn more about the history of AIS vessel tracking and how it works, read our blog post What is AIS Tracking and Why is it Important. Automatic Identification System (AIS) tracking is a method of contact identification and analysis used by vessel operators to avoid collisions at sea. Most commercial vessels are required by regulation to transmit an AIS signal on the VHF marine band which includes information such as the ship’s name, position, call sign, course and speed. Vessel owners can purchase an AIS transceiver that will translate the signal and plot the positional data on an Electronic Chart Display and Information System (ECDIS) or any number of marine charting platforms. The vessel captain has a common operational picture of their surroundings and can use this information to safely navigate and identify vessels that may pose a risk of collision. As the world becomes more complex and interconnected, the speed and reliability of data is critical to make more concise and effective decisions. 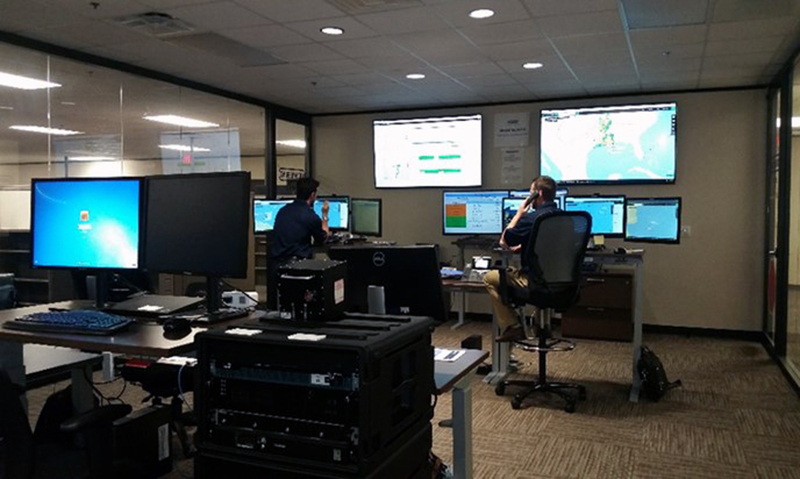 In the wake of the 2002 SOLAS agreement’s relative mandate, the International Maritime Organization (IMO) developed the Automatic Identification System (AIS) as a standard intended to monitor live marine traffic around the globe. AIS, short for Automatic Identification System , is an automatic ship tracking system used onboard ships as well as onshore VTS (Vessel Traffic Service) systems to monitor vessel movements around the world. An AIS signal is sent from a transponder onboard a vessel to a receiver located onshore or on another vessel. AIS was originally created to supplement marine radar tracking for collision avoidance and safety efforts on the waterway. However, since then, AIS data has evolved into a vital tool for a number of different maritime stakeholders, including: shipowners, cargo owners, vessel operators, cargo dispatchers, marine service providers, terminal operators, charters, traders, maritime law firms, and many more. ***This article originally appears in the March 2018 edition of The American Oil & Gas Reporter. To view the original, please click here. A new communications satellite network owned by China Aerospace Science and Technology Corporation will be up and running by 2020. The new network plan was announced at the Fourth Aerospace Internationalization Forum in Beijing in December, 2016. Maritime Executive reports that the satellites, known together as the Hongyan system, will operate globally.